The CURV 2.0 is the flagship of the Rigging Innovations product line and is the most technically advanced skydiving container system in the world. The CURV 2.0 is the 4th generation of what began with the Talon 1 in 1985, to the Flexon and the invention of the articulated harness in 1992, through the radically aerodynamic Voodoo in 2000, and now has culminated in the most aerodynamic and ergonomic container system ever. Mating the Bio Yoke and Bio Curv back pad container designs with the latest generation articulated harness, results in a system the makes all others obsolete, including our previous RI designs. The adaptability of these two concepts is without a doubt the most comfortable skydiving rig you will ever jump. The new RI MOJO Mard system is available as an option or can be easily retrofitted without any modification to the harness and container. BOC stowage flap helps; with hackey-handle placement for a more consistent pull. "Sure-Grip" emergency handles provide extra assurance for those times you really need it. 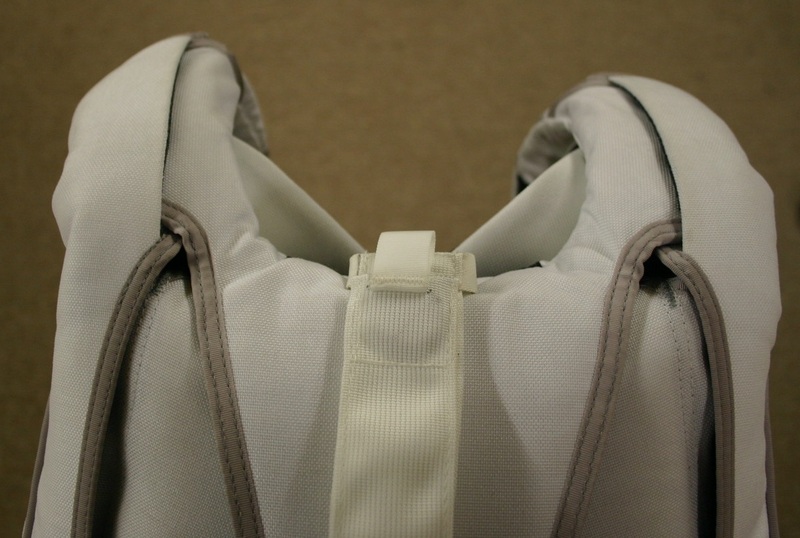 The CURV skydiving container incorporates the Bio CURV backpad where the profile of the backpad, instead of being straight, is curved inward at the midpoint and follows the natural curve of the back. This allows the containers to hug the back intimately and eliminate the gap between the back and the rig. TSO ImageThe TSO identification is located on the backpad, in the pullup cord pocket. Insert hand into the pocket and pull upward. The serial number, container size and date of manufacture are located on this label. HarnessAll RI harnesses are identified with the date of manufacture and serial number located on the inside right rear reserve riser. I am asked many times about the shapes and dimensions of the CURV container sizes. I have produced the above graphic depiction of the 8 different container sizes so that you can see the differences in length and thickness. Because of the construction techniques and shrinkage, it is impossible for an individual to get the exact packed dimensions but you get the idea. All but the Vc5 have an 11”/28 cm backpad width, while the Vc5 is 12.0”/30 cm. The line across the middle of each shape is the approximate location of the wall between the main and reserve.